This year is not starting the merry way that it should have for Bollywood world. People are already shattered with the news that Rishi Kapoor is diagnosed with cancer, now Filmmaker Rakesh Roshan is diagnosed with early-stage cancer too. 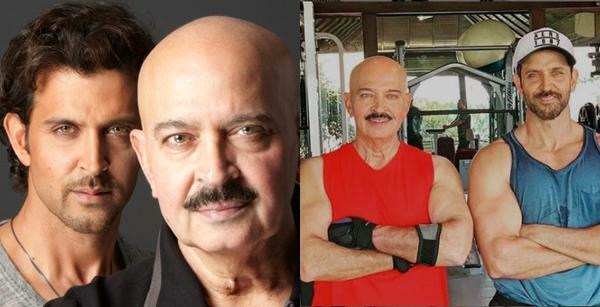 Actor Hrithik Roshan, on Tuesday, took to his social media to divulge that his father and actor-filmmaker Rakesh Roshan has been spotted with early stage of squamous cell carcinoma, a type of cancer. The actor also revealed that the senior Roshan will undergo surgery on Tuesday. The moment Hrithik Roshan shared the heart-warming picture with his father and publicized the shocking news, fans started pouring in good wishes. We even wish that Rakesh sir gets well soon and recovers from Cancer. Will Hrithik Roshan do one more film this year? Watch Hrithik Romance Kat in "Meherbaan"